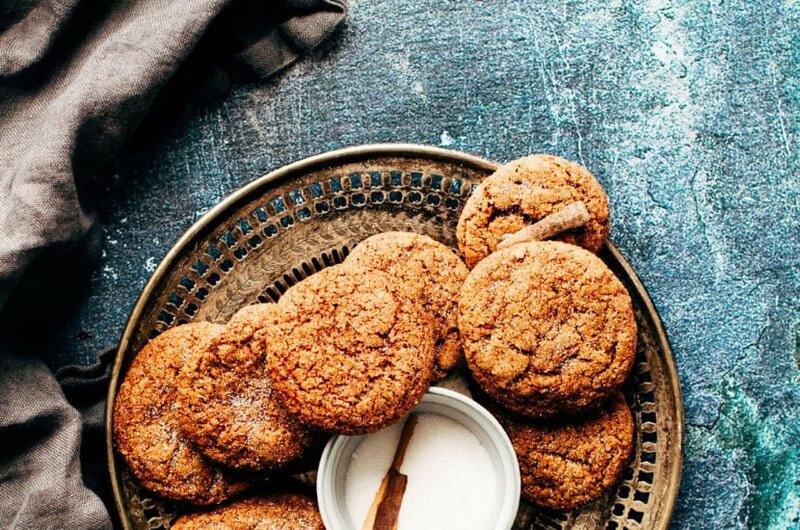 Molasses Cookies are a long-standing favourite in my family. 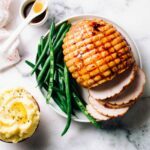 These ones are adapted from a very old recipe. A hearty roasted pumpkin soup with warming ginger. Basmati rice adds flavour and texture and turns it into a satisfying meal. 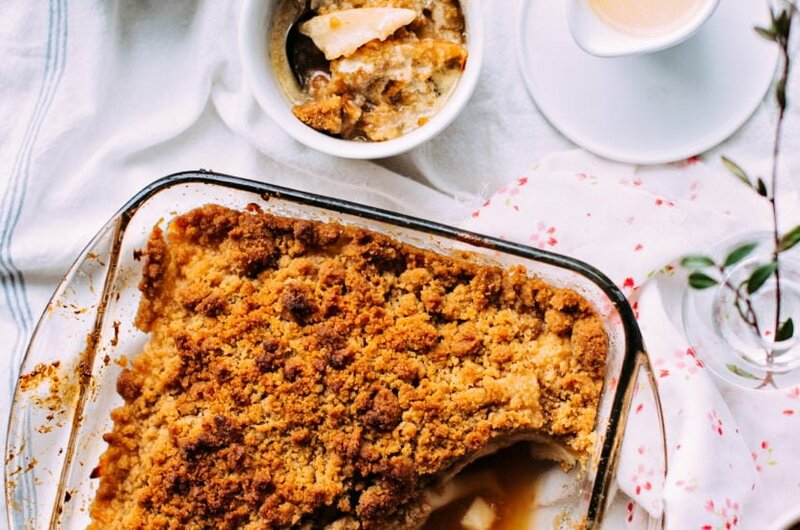 A sweet vanilla pear crisp with brown sugar streusel topping and warm custard sauce. Call it dessert, call it breakfast, no judgement here. 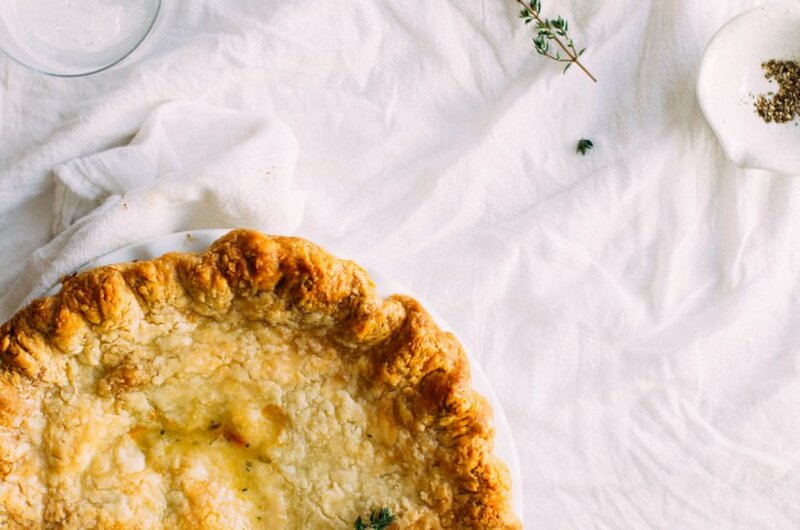 A delicious turkey pot pie for leftover thanksgiving turkey, with a golden all-butter pie crust + my two-fold approach to nixing any holiday blues. 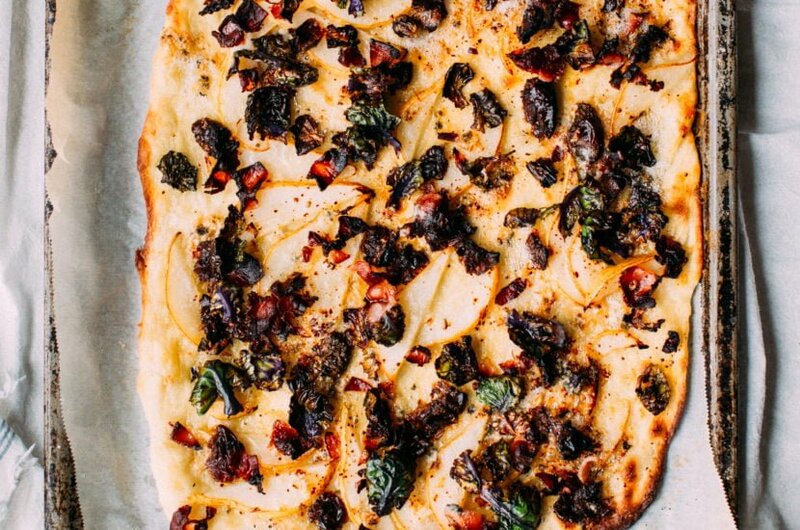 Brussels Sprout Pizza makes a yummy fall dinner or appetizer, with blue cheese, bacon, pears, dates and a drizzle of sticky balsamic reduction. 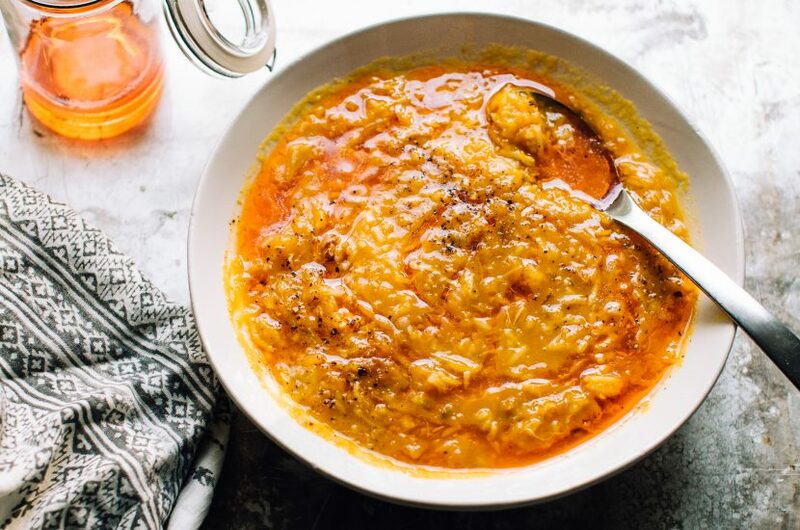 Slow-cooker steel-cut oatmeal with pumpkin and spices. 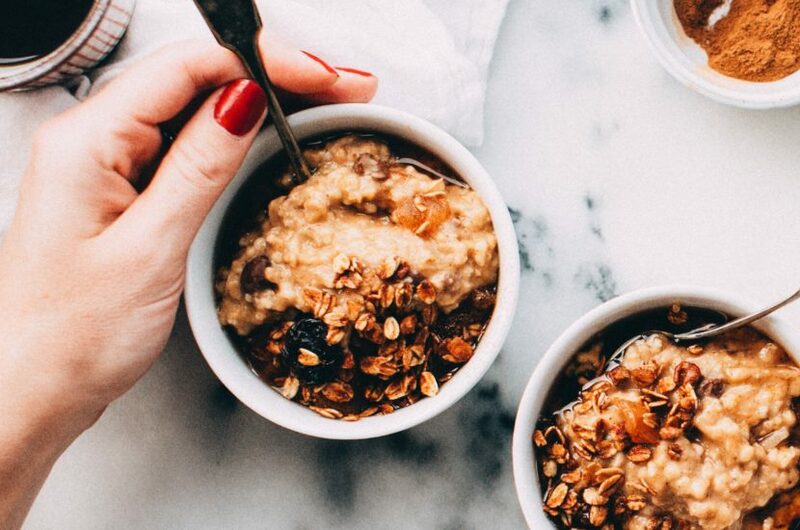 The creamiest oats you’ll ever eat. 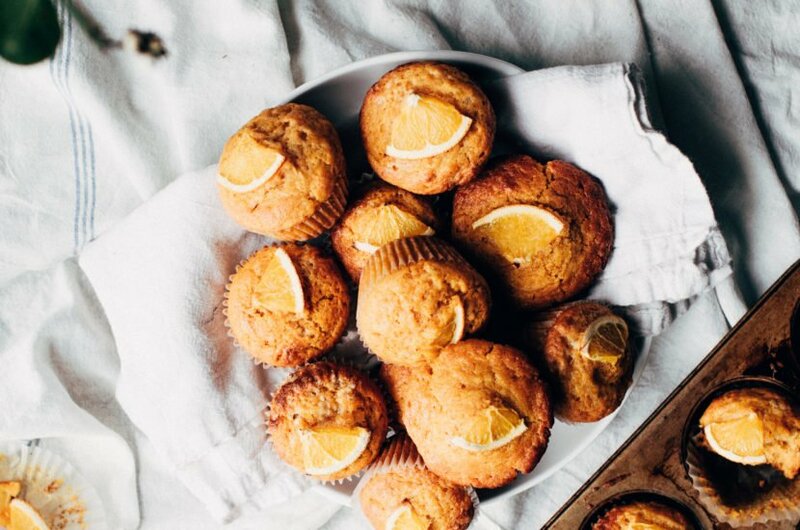 Super-tender Pumpkin Orange Muffins bejeweled with a tiny orange slice. 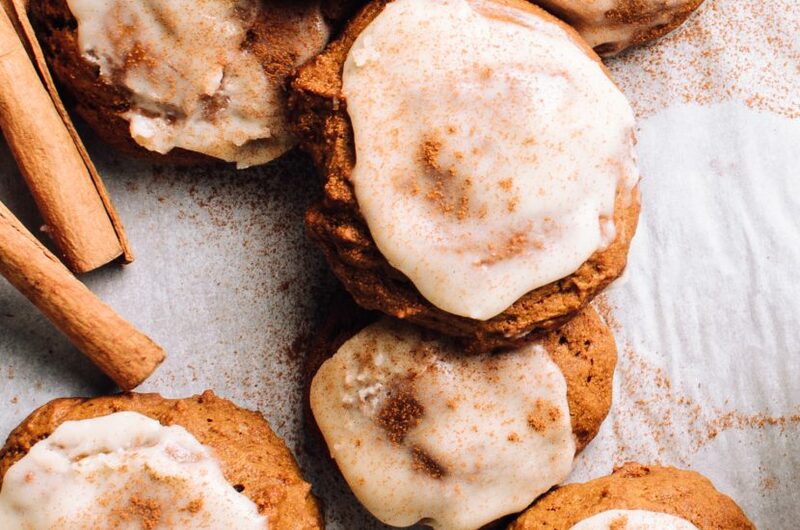 They’re delish for everyday, but are special enough for the holidays. These cookies. Oh, these cookies. 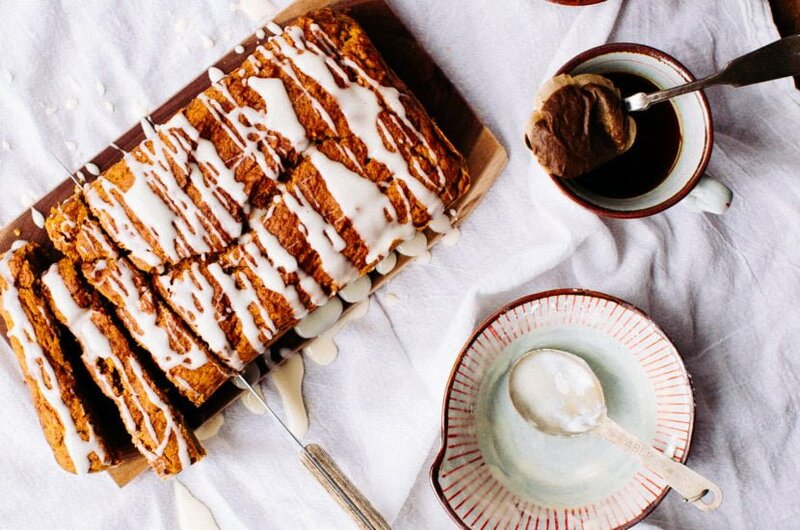 A super-moist pumpkin bread with fall spices and sweet cream cheese glaze. 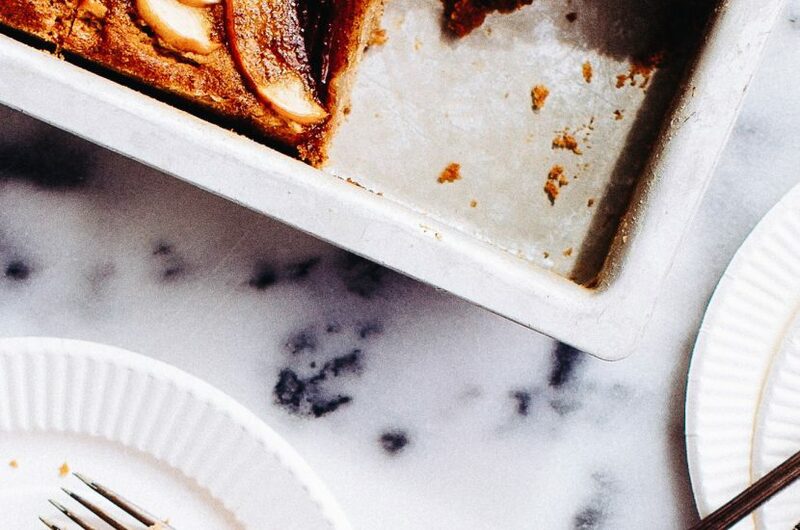 The best apple cake – a fluffy, tender cinnamon spiced base topped with lots of juicy, brown-sugared apples. It’s like an apple pie and a cake had a baby.